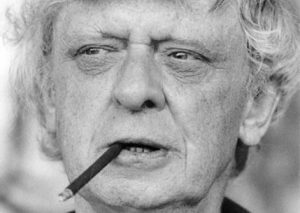 Radio 3 is to broadcast a week-long celebration of programming to mark the centenary of the birth of Manchester-born writer and composer Anthony Burgess. The programming will include the UK premiere of Burgess' adaptation of the iconic play Oedipus the King, with Christopher Eccleston playing the title role broadcast in Drama on 3. Translated from Sophocles and adapted by Anthony Burgess, Oedipus the King was first performed in 1972 at the Tyrone Guthrie Theatre USA, with music from the Grammy winning composer, Stanley Silverman. Manchester-based Naked Productions is working with the International Anthony Burgess Foundation and Stanley Silverman to bring a "bold" new radio version of the script to BBC Radio 3 in early 2017. The BBC Philharmonic and Manchester Chamber Choir will record Silverman's score for the production. Later in the year, the BBC Philharmonic will give the world premiere of Raymond Yiu’s The World Was Once All Miracle, setting some of Burgess’ text commissioned by the Anthony Burgess Foundation. Eccleston said: "I am so very honoured and proud to play the role of Oedipus in Anthony Burgess's brilliant and daring version of Sophocles's masterpiece." Alan Davey, Controller BBC Radio 3, added: “The celebration of Anthony Burgess in his centenary year forms part of BBC Radio 3’s 70th anniversary, as part of our mission to connect audiences with remarkable music and culture. Having one of the UK's leading actors, Christopher Eccleston, playing the title role in the UK premiere of Burgess' Oedipus the King, will be a treat for us all. Alongside the drama, there will be five Essays from eminent writers, reflecting Burgess' contribution to literature, language and popular culture. And in April, Radio 3’s drive time programme In Tune will broadcast live from the brand new The Stoller Hall at Chetham’s School of Music in the heart of Manchester.